Need to Choose a Desktop Computer? With the holidays quickly approaching it will soon be that time when people start buying new computers. The decisions to be made when purchasing a computer can be quite overwhelming. All the different terms and names can be confusing along with the pushy sales person always trying to add something else. Telx can help with the Hopefully after reading the blogs in this series you will be better informed and more confident when making that purchase. The first thing to determine would be what the primary purpose of the computer is going to be. 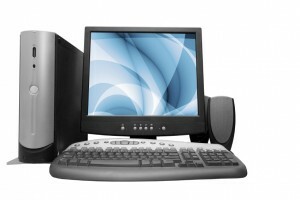 If you plan on using it for surfing the internet and reading emails then you could go with more of an entry level pc. If you plan on doing photo/movie/music editing then you will need a high end system. The difference between the two can be thousands of dollars. Below are some specifications that I recommend as a Technician at Telx Computers. Processor- This is the brain of the computer the faster this is the faster your computer can think and effectively go faster. Hard Drive/HDD- The hard drive or hard disk is just a storage place for all your files and pictures. Everything else is up to you. If you are using it for gaming or movies you want to make sure it has a good video card.